Sunday July 12, 4 to 8 p.m. 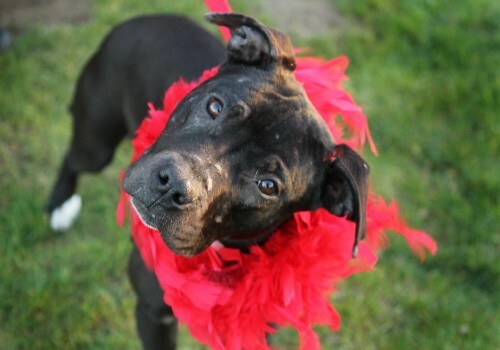 Celebrate the start of summer with a dog fashion show to benefit the Multnomah County Animal Shelter. 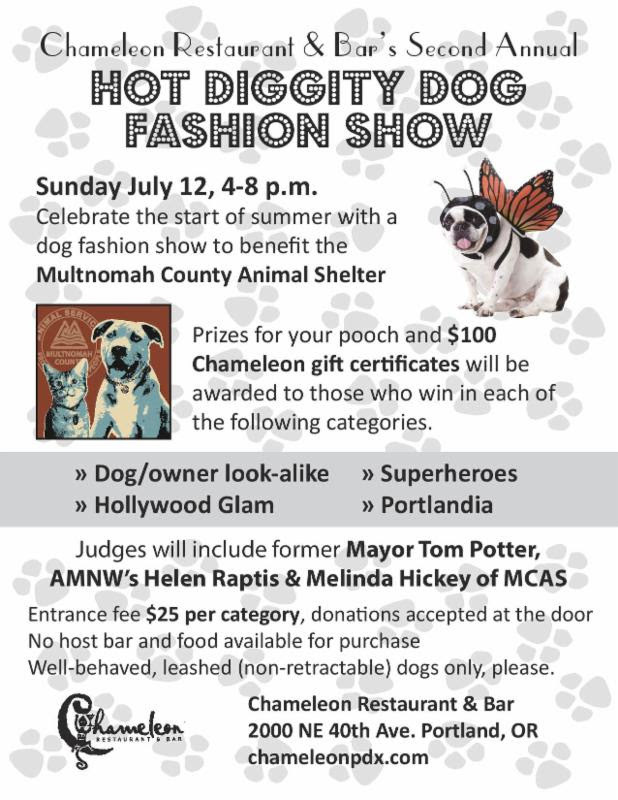 Judges will include former Mayor Tom Potter, AMNW’s Helen Raptis & Melinda Hickey of MCAS. Entrance fee $25 per category, donations accepted at the door. No host bar and food available for purchase. Well-behaved, leashed (non-retractable) dogs only, please.